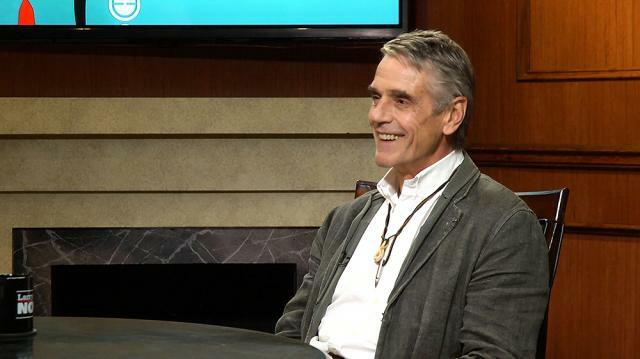 Sorry, Queen Elizabeth: Jeremy Irons isn’t interested. The Oscar winner explains why being knighted doesn’t appeal to him, and infers that he may have already turned down the honor. Larry King: A number of great actors have been awarded knights. Sir this, sir that. And you have been quoted saying you do not want to be knighted. Larry King: Why not, Sir Jeremy? Larry King: You won't refuse it. Larry King: You've already been offered it? Jeremy Irons: We don't talk about these things. But I don't think, I think knighthood should go to people, and honors should go to people who are, without them, unrecognized. Now, actors, we're recognized. We're actually recognized much more than we should be. We're not, we have a value but we're not that valuable. We get very well remunerated for the work we do. But there are lots of people who do fantastic work in all fields of life. And I think they're the ones who should get a pat on the back.